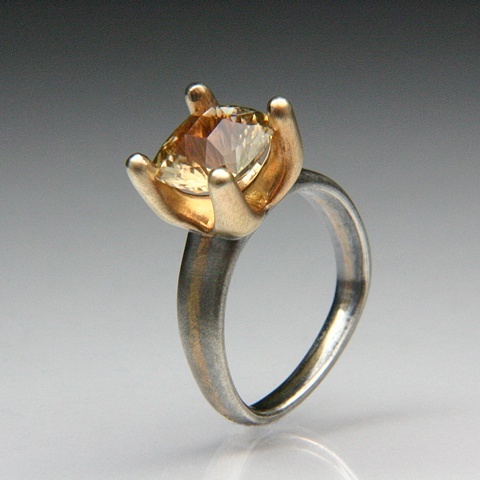 This Allison ring has a few customized changes per the customer’s request. The head and center band is 14-karat yellow gold and the outer two shanks are oxidized silver. The stone is a 10mm cushion cut Golden Tourmaline. SOLD -contact us for details.